Some Nigerian soldiers have reportedly gone missing after some Boko Haram terrorists overran a military base in Borno state. 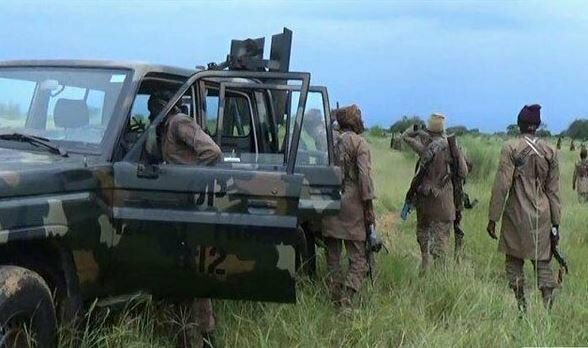 No less than 10 soldiers have been reported missing following an attack on a military base in Kukawa, Borno state, TheCable reports. The incident happened Monday evening when trucks loaded with gunmen believed to be Boko Haram insurgents moved into Kukawa, attacking a market and dislodging the troops. “It is getting serious, and the whereabouts of more than 10 soldiers is yet unknown,” a soldier at the Lafiya Dole theatre command told TheCable on Wednesday. The Islamic State in West Africa (ISWA), a faction of the Boko Haram sect, has claimed responsibility for the attack. The insurgents said they have burnt government buildings and taken over Kukawa. There are reports that many lives were lost and the insurgents have taken charge of military equipment. Texas Chukwu, army spokesman, did not answer calls placed to his phone, and he’s yet to respond to the message seeking clarification on the attack. In a similar manner, the insurgents attacked a military camp in Zari, also in Borno, in September, killing soldiers and wounding many others in the process.